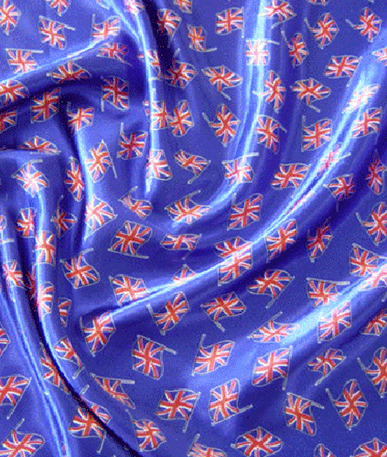 Get a sample of "Union Jack"
Union Jack flag on Cotton Drill. Four flags per metre. Each flag measures 64cm X 42cm.